September brings spring to Chile and with it the days of celebration of Chile's independence from Spain. Technically the independence celebration is September 18, also known as the Dieciocho—which means 18 in Spanish. However, Chileans don't just celebrate on one day— Fiestas Patrias festivities usually begin one week before September 18th. The country celebrates Fiestas Patrias with parades, festivities, food, music, and beverages. Much of the drinking, music, and dancing occurs in the ramadas, open-air "buildings" with a dance floor under a thatched roof, or one made traditionally with branches, as in traditional shelters. Refreshment stands, fondas, offer a variety of national food favorites. From the northern deserts to the southern tip of Chile, Chileans party in remembrance of the day in 1810 that the Chilean criollo leaders proclaimed limited self-government during the Napoleonic Wars on the Iberian Peninsula. Actual independence came in April 1818, but the Dieciocho is a treasured and proud celebration for Chileans. The scents of asados, or open pit barbecues, empanadas baking, and other favorite national dishes fill the air. Music, particularly the patriotic sounds of the national anthem and other favorites, is everywhere. Cueca competitions are a ritual, as much as the dance itself. Wine, and chicha flow. Medialunas, the semi-circular arenas used in the rodeos, fill with spectators cheering the huasos who demonstrate their skill. Folkloric demonstrations of dance, costume, and legends bring in the crowds. In Tarapaca, the Independence celebrations last all month with religious ceremonies, theatrical productions, and children's activities. In Antofagasta, kite flying competitions fill the clearing skies. In Atacama, find 300 cuecas in the Copiapó's Plaza de Armas, cueca competitions, and many rodeos. In Coquimbo, see hundreds of children dancing the cueca, kite flying competitions and religious ceremonies and the traditional Pampilla de Coquimbo. In and around Santiago, celebrate Semana Criolla which includes a rodeo, arts and crafts, food and drink, folklore presentations and children's activities. In Rancagua, site of the 1814 Battle of Rancagua against the Spanish forces in which Bernardo O'Higgins was defeated and subsequently took refuge with his men in the Cuevas de los Patriotas on the Juan Fernandez Archipelago, the exuberant celebrations include the National Rodeo Championships, music, dance and song. 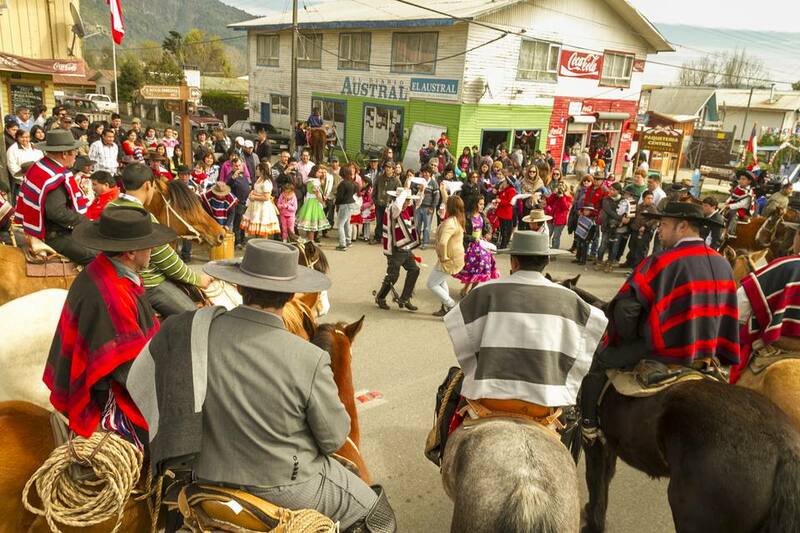 In Maule, folkloric presentations, traditional Creole games, and equestrian events mark the Dieciochocelebrations. In BíoBío, the Fiesta de la Chilenidad includes dance and cooking competitions, juegos tradicionales, music, and folkloric presentations. In La Araucanía, the Semana del Folclor is a week-long celebration of regional and national folkloric traditions, cooking demonstrations, music, history, ethnicity, and everything that comprises Chilenidad. In Aysén, you'll find cooking demonstrations, national cuisine, dances, and sports events. Amongst all the celebratory events, September also has some dates that may provoke protests or demonstrations. These are the election of Salvador Allende (9/4/1970), Augusto Pinochet's coup (9/11/1970) and Armed Forces Day itself, in which many protest the role of the military during the Pinochet years. Customary caution is recommended. No matter where you are in Chile during the September Independence Celebrations, you'll hear Viva Chile! Enjoy the festivities, music, food, and dance, and have a great time.